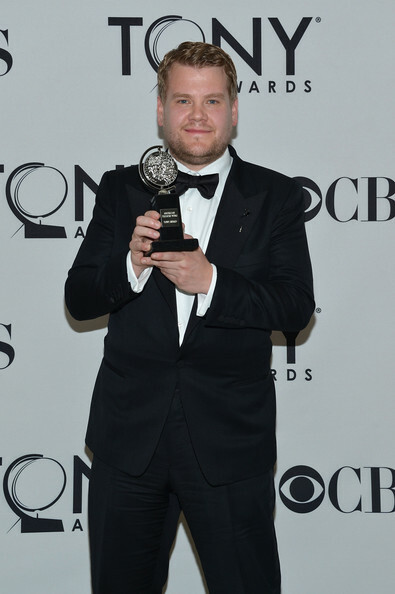 British actor James Corden has landed himself a Best Leading Actor Tony Award, and the humble star couldn’t have been anymore emotional during his acceptance speech. “To be on a list with you was enough, and holding this honestly just reminds me there is no such thing as best. Honestly, I am overwhelmed”. Julia was clearly moved by Cordons speech, with the camera catching her wipe away a tear, and a smile which had pride written all over it. Backstage, he described his competition – Philip Seymour Hoffman, John Lithgow, Frank Langella and James Earl Jones – “as four of the finest actors alive”.